Top 10 Restaurants in Calvert County! Is your anniversary coming up and your looking for a great place to take that special someone? Or are you looking to for the perfect atmosphere to have your next girls night out? Look no further than these top 10 Restaurants in Calvert County! Jerry’s Place in Prince Frederick, Maryland enjoys a wonderful reputation for turning out amazing seafood dishes and equally superior service. Known for its delicious crab cakes, Jerry’s Place offers a variety of fresh fish delivered daily, tender shrimp, and his famous soups. One of the best restaurants in Southern Maryland, their menu includes such offerings as Black Angus Ribeye, Steak au louvre, and Bangkok scallops! At Heritage 485 they strive to create a down home, Sunday dinner experience through food, service and ambiance that you and your family will call a new tradition. Nagoya Asian Bistro & Sushi Bar is the best Japanese Restaurant in Prince Frederick, MD. You can select your choices of meats, seafoods, vegetables and watch the chef create your fresh and succulent dish right before your eyes. The Island Hideaway boasts exceptional service in an approachable, but upscale atmosphere with vibrant and fresh cuisine in a modern and causal setting. They offer a mix from seafood offerings to wings to Filet Mignon! Spectacular harbor views and creative seasonal cuisine has made The Dry Dock Restaurant the favorite of boaters for over twenty years! Specializing in steaks and seafood, The Dry Dock’s chef creates the menu using as much sustainable seafood and local produce as possible. EZ Thai opened in the spring of 2011. The restaurant is the first and only Thai restaurant in Calvert County. Their goal is to provide you with an authentic Thai dining experience in a comfortable atmosphere with great customer service. To guarantee excellence they buy the highest quality ingredients and prepare them to bring out the best possible flavors in every dish. Their chicken wings are cooked fresh daily to ensure their signature taste. Fresh and never frozen chicken breast, pork, mahi and salmon are delivered daily. The story of the Chesapeake Grille & Deli started in their home kitchen, making recipes for their family, hearing what they thought, and what they could all bring to the table as a family owned and operated restaurant. Once the recipes were ready, they built their first Chesapeake Grille & Deli location in Dunkirk, MD. They are known for their 12oz Bay-Sized Burger. Stop by Charles Street Brasserie today for a unique waterfront dining experience. Guests rave about their fusion of Mediterranean and Southern Maryland tapas and shared plates. You’re welcome to sit back, relax and enjoy live piano music and a movie on Friday and Saturday nights while sipping on craft beer, their signature Martinis and fine wine in a unique 1930s atmosphere. 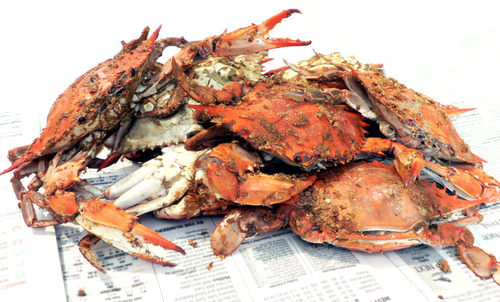 Enjoy the Good Eats of Southern Maryland! Make sure you stop in to each one of these great restaurants in Calvert County. When your nestled between the Patuxent and the Cheseapeake, your bound to find some good seafood from one of these top restaurants!!! Why do your own tree removal when you have Calvert County Tree Service?! Go out to dinner tonight instead!